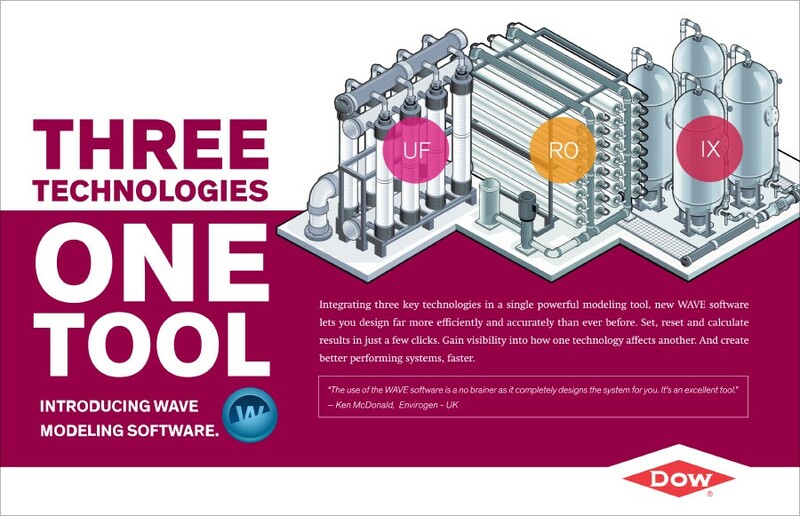 Dow Water & Process Solutions was preparing to introduce its new WAVE (Water Application Value Engine) design software at the Aquatech Amsterdam conference, one of the industry’s biggest, most important shows. They planned to demo the software at their booth, but needed something to grab eyes and get passersby interested. To do that, we created an animated explainer video that uses vivid color, simple graphics and elements from the WAVE interface to demonstrate the robust functionality of the tool in a simple, memorable way. A companion print campaign laid the groundwork, generating interest in the product before the show.